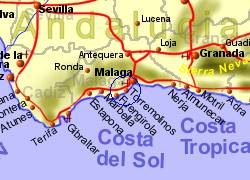 Situated 4 Km south west of Torremolinos on the Costa del Sol, the José Gancedo designed Torrequebrada Golf Course was built in 1976 just 2 Km from the sea, in an area of tropical trees. The course also has a driving range, pitching green, practice putting green, and restaurant. 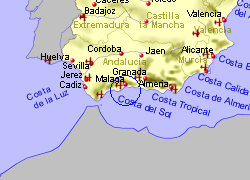 Miguel Angel Jimenez 9 holes, on the northern edge of Torremolinos. 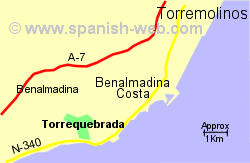 Map of the Torrequebrada area.